Here is in the command line method, you can also refer to the graphical disk tools method. 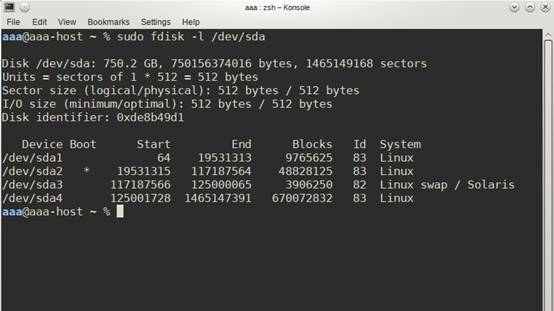 Please click on the lower left corner icon (start button), from the main menu select terminal system , In the terminal through fdisk the command to complete (fdisk [equipment]). How to use graphical disk partitioning tool in Linux?